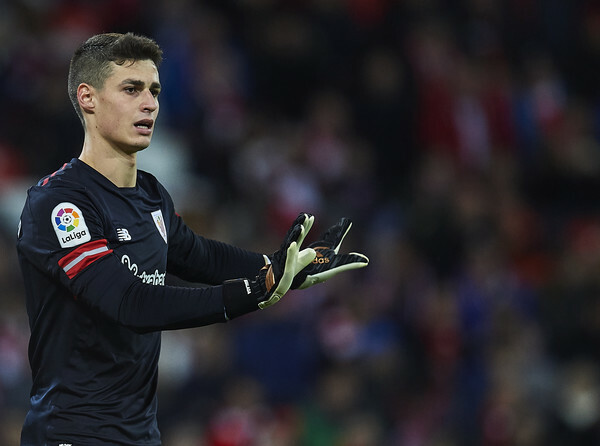 La Liga club Athletic Bilbao announced that Chelsea have paid the €80m release clause for Kepa Arrizabalaga. The 23-year old Spain international is set to sign for the London club for a World record fee for a goalkeeper, a record set by Liverpool earlier in the transfer window for the signing of Brazil number one goalkeeper Alisson Becker from Roma. Chelsea had to solve their goalkeeping problems as they came to terms with the fact that they will lose Thibaut Courtois to Real Madrid this transfer window. Kepa who was relatively unknown to the English football fans about 48hours ago has only played for Spain once, but he is rated highly in La Liga and most pundits say that he is matured and calm for his age. Real Madrid tried to sign Kepa in January but Bilbao refused to reduce their evaluation for the goalkeeper, rated as one of the best in Europe, he was part of Spain's World Cup. After Chelsea 0-0 draw against Lyon at Stamford Bridge, Sarri was asked about Kepa and he replied saying: "I saw him one year ago. My first impression was that he is a very good goalkeeper, very young, but very, very good." This move could have secured Chelsea first choice goalkeeper for another decade. With Thibaut Courtois making his dream move to Real Madrid, Chelsea are set to announce the World record signing of one of the best young talent in football.